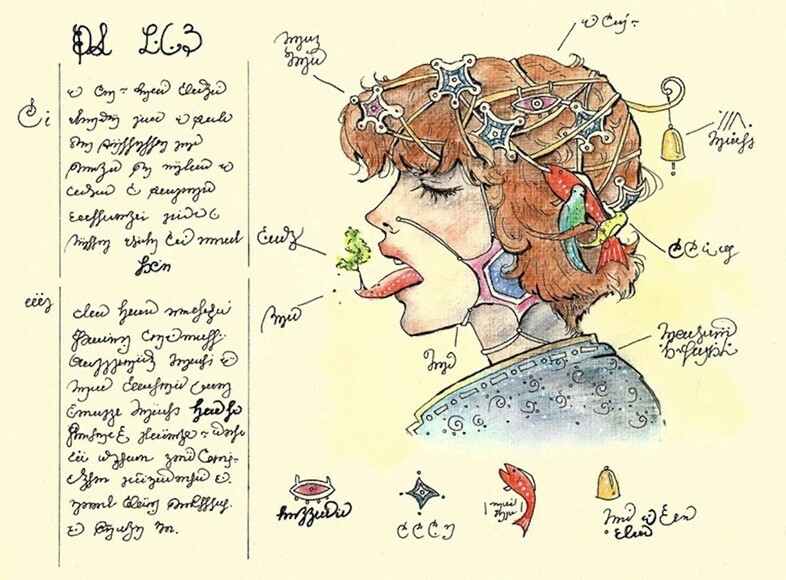 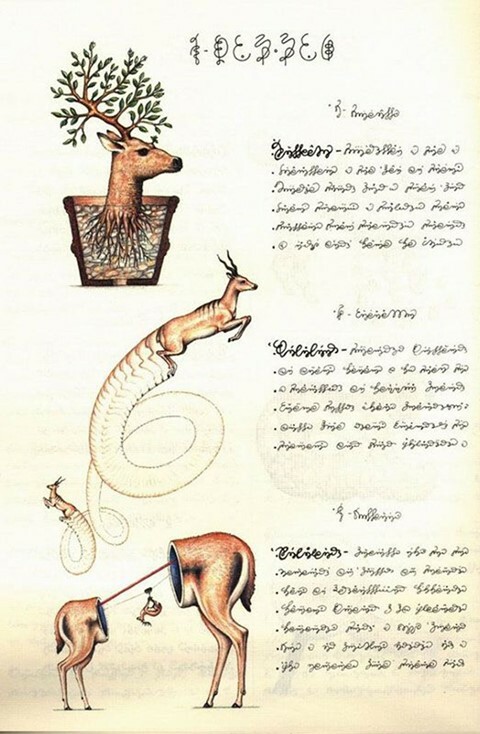 Fantastical encyclopedias have a long and brilliant history, perfectly culminating in architect and designer Luigi Serafini's wondrous illustrations. 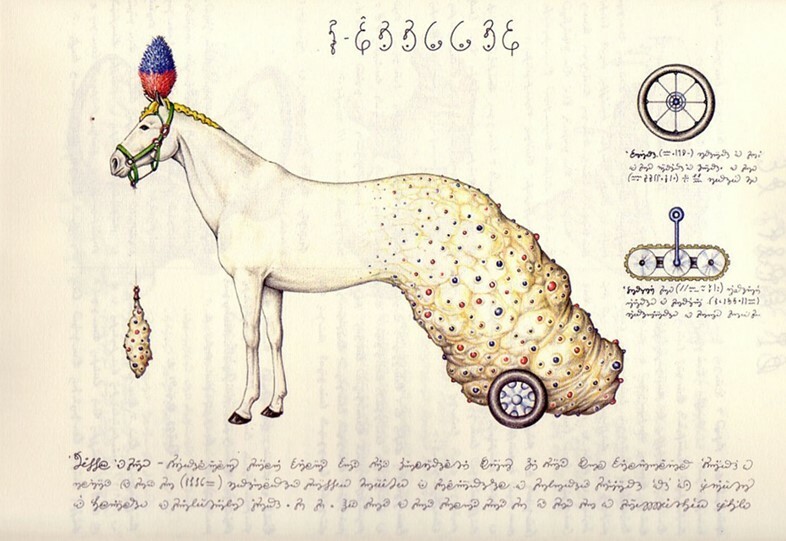 From the enigmatic Voynich manuscript (a mysterious 15th century codex that has baffled cryptographers) to Jorge Luis Borges' Uqbar, Orbis Tertius (a short story about a mysterious encyclopedia article), they offer a world of curious possibilities. 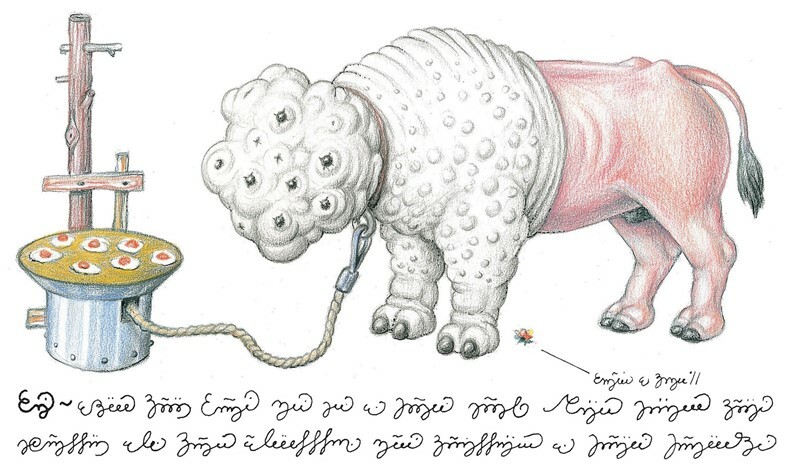 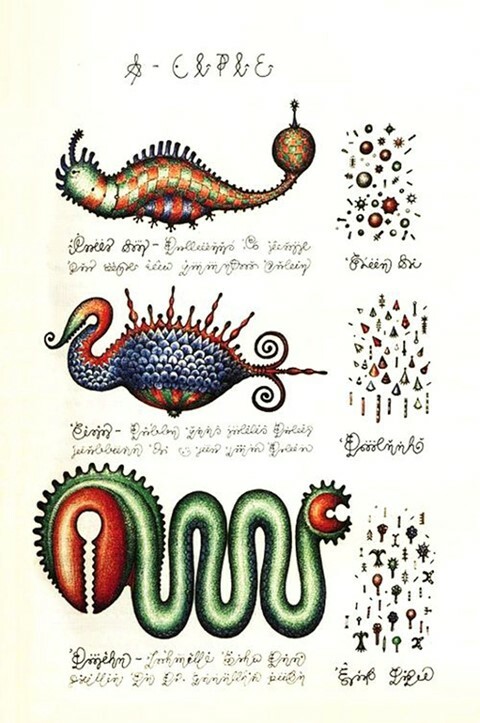 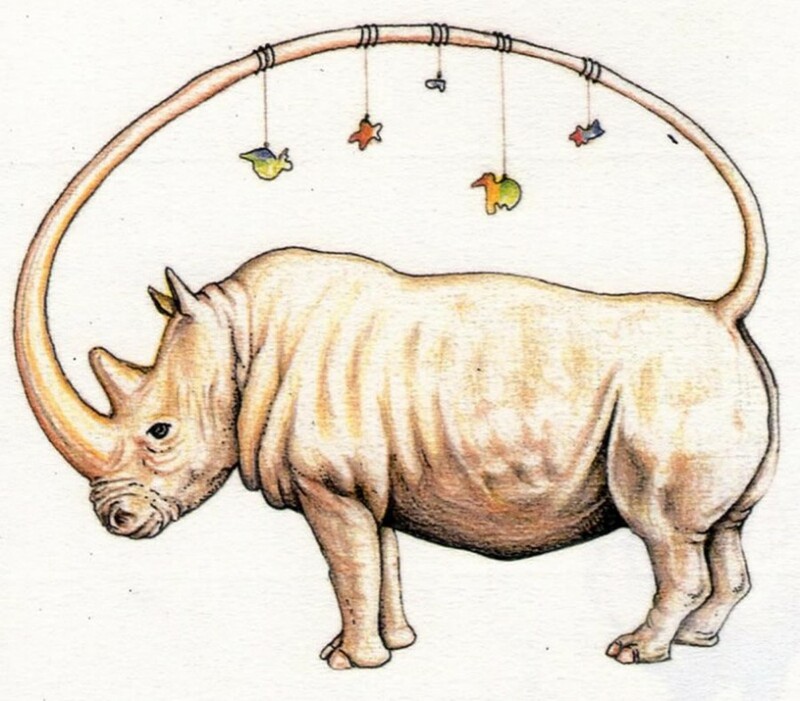 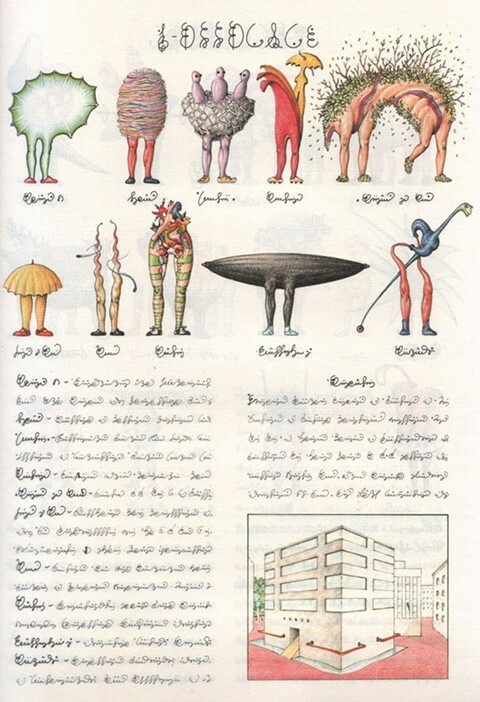 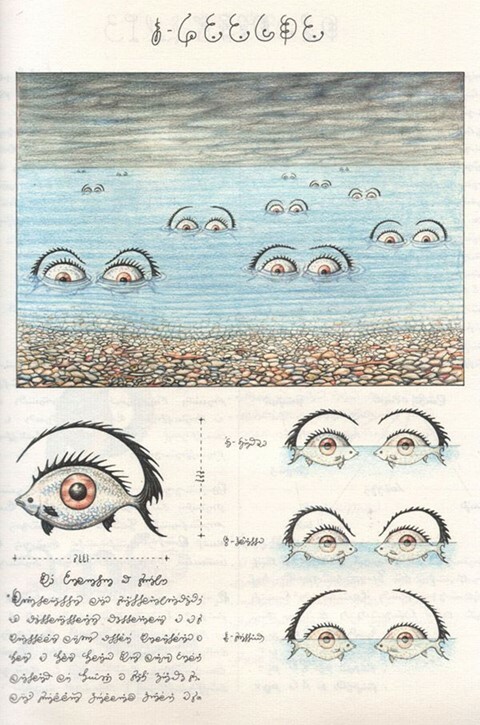 What Borges' story raises is predominantly a question of epistemology, of how ideas can construct alternate realities – and it is the same theme that arises through Luigi Serafini's Codex Seraphinianus. 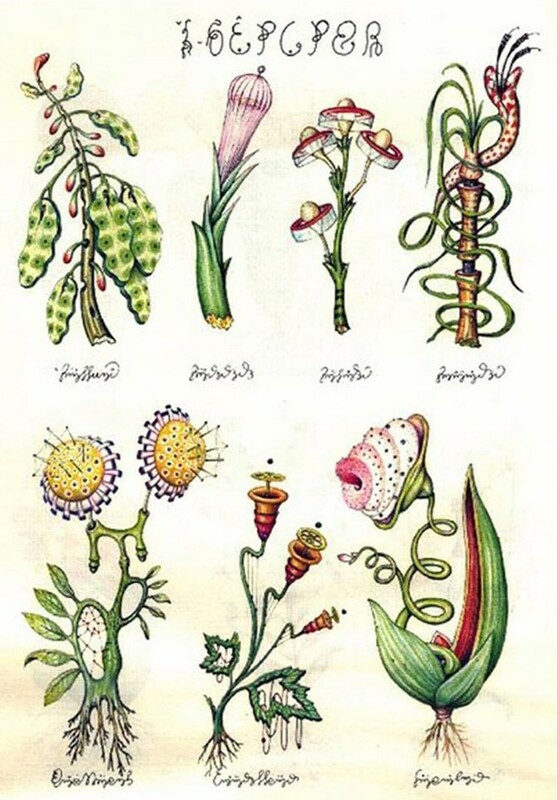 His imagined plants, biologies and languages are all illustrated and presented in the style of a factual text and, while their immediate appearance is wonderfully whimsical, on further exploration they raise complex and profound questions about how we construct our reality. 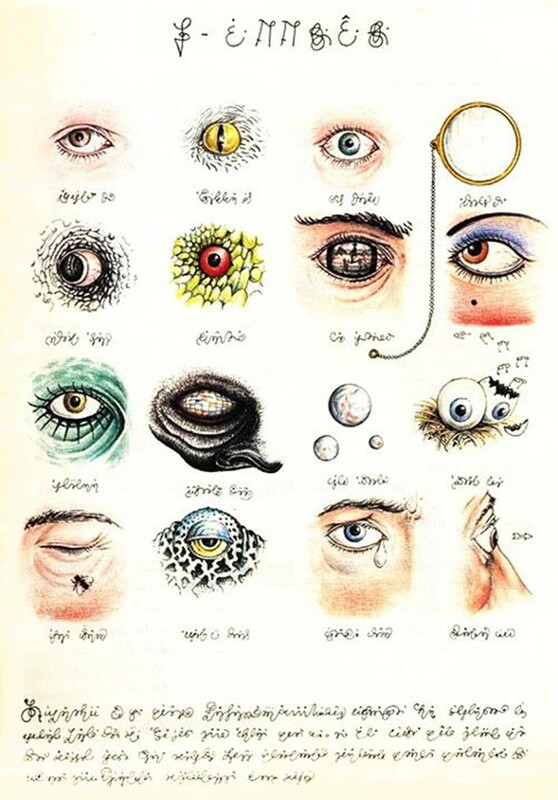 In honour of a rather philosophical Happy Monday, we bring you some of our favourite pages from the book to analyse and enjoy as you wish.